Kep is the part of my memories I remember with happiness. Located in the south of Cambodia, it has a small but lively beach. Not far from Kep are other islands, very silent places but with life. 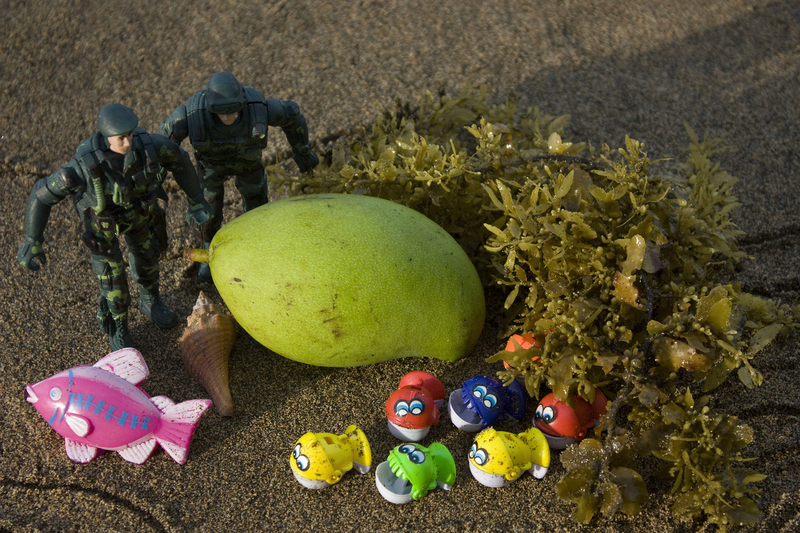 I work with toys and nature, as a symbolism of taking care of the nature in our environment. Vollak Kong is one of the most exciting young artists of his generation in Cambodia. A 2006 graduate of the Royal University of Fine Arts in Phnom Penh, which he attended with a full scholarship, Mr. Kong teaches basic art three days a week in a public high school in Svay Rieng Province near Phnom Penh. A remarkable artist who works primarily with charcoal on paper, Mr. Kong is one of the founders of Stiev Selepak. Founded in 2007, this collective, know as “Sa Sa,” represents a paradigm shift in Khmer art. Pooling their resources, they have established studio spaces in a semi-abandoned housing project that is slated for demolition. They run community-based workshops and “pop-up” exhibition spaces that allow a broad range of people to interact with them and their work. In 2009, they founded the Sa Sa Bassac Gallery in Phnom Penh, Cambodia’s first artist-run space. Mr. Kong had his first solo show at the French Cultural Center in 2008, and since then his work has been shown at the Hotel De La Paix in Siem Reap and numerous public and private spaces in Phnom Penh.